Documentary series. This edition charts the transformation of a political leader of the French to emperor and global statesman. 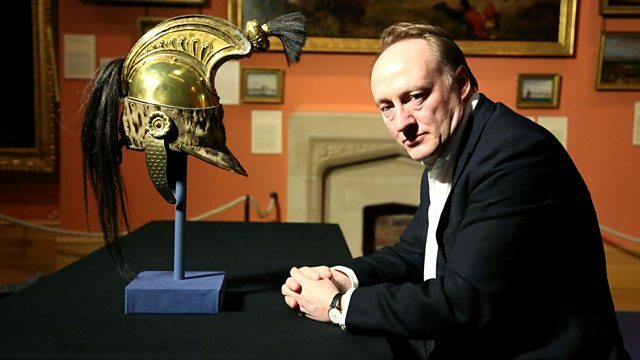 Presented by British historian Andrew Roberts. In 1805, when Napoleon was crowned King of Italy, he was at the height of his power - the previous year, he had been crowned Emperor of the French. This edition of the series charts the transformation of a political leader of the French to emperor and global statesman, from a son of the French Revolution to husband of the daughter of the Holy Roman Emperor, the most powerful, conservative, monarchist nation on earth. It features the Battle of Austerlitz, one of the greatest military encounters of the 19th century, the rise of a Napoleonic Empire - at its peak numbered over 40 million people - and the supreme meritocracy that was the Napoleonic regime, but it also the compromises that Napoleon had to make to guarantee his global power, compromises that relied upon his trusting nature, a personality trait that in later years would prove to be an Achilles heel to his power. The film is presented by British historian Andrew Roberts, and shot on location in St Helena, France, Czech Republic and Russia. Our BBC iWonder guide explores the day that decided Europe's fate. Melvyn Bragg discusses the comparative histories of Napoleon and the Duke of Wellington.